We invite you to attend any of the upcoming gallery shows, receptions, and talks listed. Receive email notices of gallery openings by subscribing to our announcement list. 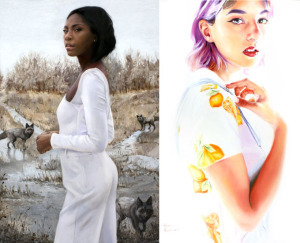 Both accomplished realist painters in technique, their ethereally illuminated subjects occupy a space both of this world and a bit beyond. 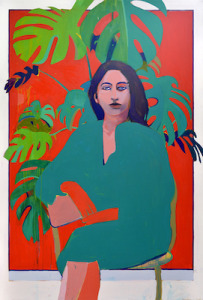 Shane Scribner focuses on abstraction within the figure using color and Sara Scribner creates an abstraction of space and time by infusing the symbolism in each of her works with a sense of magic. Sara and Shane Scribner met at The Academy of Art University in San Francisco, CA and married shortly thereafter. Both full-time painters, they share a home studio in Enid, Oklahoma and exhibit their work nationwide. 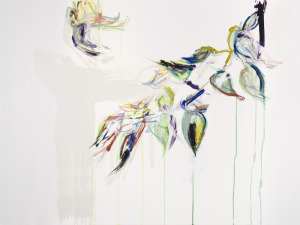 Nature has inspired much of local painter Diana Greenberg's fifth show at the gallery, botanical forms appearing in many of these abstract works. Prisms of color break through solemn gray to create a feeling of light and hope, joy and serenity. 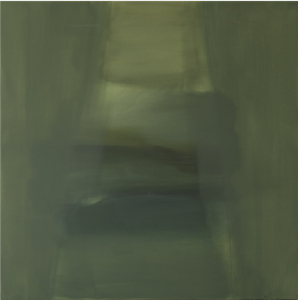 A series of atmospheric paintings are also included, each a grid representative of a place or time. We are excited to open our sixth solo show with local figurative painter Patrick Puckett titled Monsteras. Referring not only to the foliage depicted, Puckett’s larger than life canvases in Monsteras deploy the color red to lend his singular figures an undeniable presence. This powerful presence is further strengthened by Puckett’s confident interaction of paint application, shape, color and texture. Born in 1979, Puckett grew up in a log cabin in central Mississippi. He received his Bachelor of Fine Arts Degree from The University of Southern Mississippi in 2002. Puckett currently lives and works in Austin, Texas.